From the LED daytime running lights to the generous horizontal chrome grille, every part of the Fiat Tipo Hatchback blends elegantly and harmoniously into the overall architecture. For a personality that won’t go unnoticed. 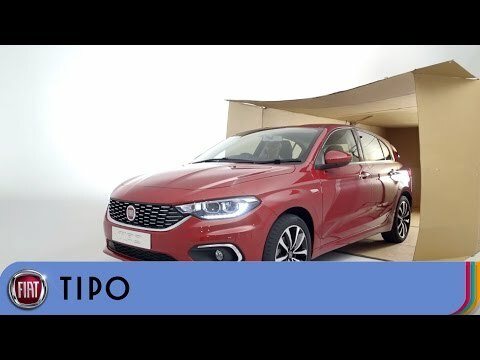 The Fiat Tipo Hatchback stands up to expectations with its class leading 440 Litre boot capacity and best in class rear leg room. All this in just 4.37 metres of length. Get inside the new Fiat Tipo Hatchback and discover the pleasure of state-of-the-art technology with the Uconnect 5” touchscreen radio with navigation system, Bluetooth, DAB USB and Aux-in. Tuneln and Deezer will provide the best audio experience for your favourite tracks.